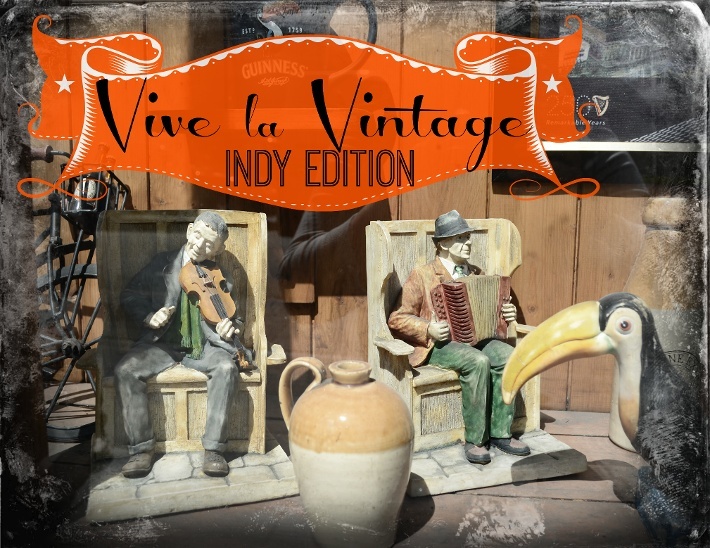 If you’re looking for fun and quirky vintage clothing, Broad Ripple Vintage offers clothing and accessories from the 1940’s to 80’s for both men and women. Located on E. 64th Street, the store has everything from dresses and tuxedos to shoes and accessories. Another great place to find vintage clothes in the area is Reclamation which offers great prices for unique clothing and trinkets from all over the world. Head to Reclamation for a trip back in time. The Midland Arts and Antiques Market is a great place to find the perfect vintage decor, furniture or lighting for your home. The market has been running for over 16 years and specializes in works of art as well mid-century furniture that will pique the interest of both avid collectors and first time buyers. The Midland Arts and Antiques Market has two different locations in Indiana and even has a showplace in the New York Showplace Antique & Design Center. Doc’s Architectural Salvage and Reclamation Services features great antique gems from homes all over the country. Their crew takes apart old homes, keeps the best, vintage pieces and brings it right back to Indianapolis. The store on W 30th St. offers wonderfully designed Victorian era furniture, antique lighting, sinks, and windows as well as cast iron baths and more. It’s a one-stop shop for genuinely reclaimed and restored antiques. The Southport Antique Mall, voted as The Indy A-List’s Best Antiques dealer, can be found on 2028 E Southport Road in Indianapolis and offer over 36,000 square feet of different antiques, vintage furniture, and other collectibles from hundreds of different dealers. The enormous space almost guarantees that you will be able to find what you’re looking for at the best price possible. You can even bring your old antiques to get restored right in the mall. So go ahead and go vintage-ing. You never know what treasures you may find!